Back at Reunion- this time to play the prestigious Watson course. 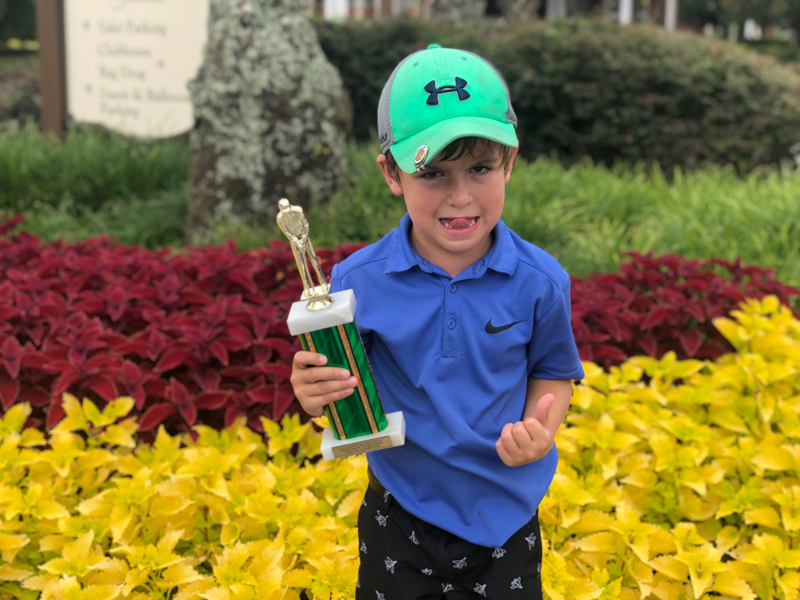 Zev was ready for play with some great drives, medals, irons, and wedge shots to get on the greens. Trouble was lurking in the most obvious of places this time, as Zev found the greens slow and unyielding. 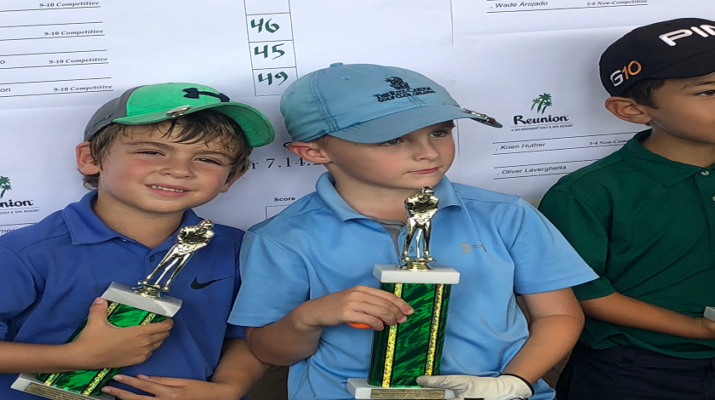 Several putts came up well short and added unwanted strokes to the score card. 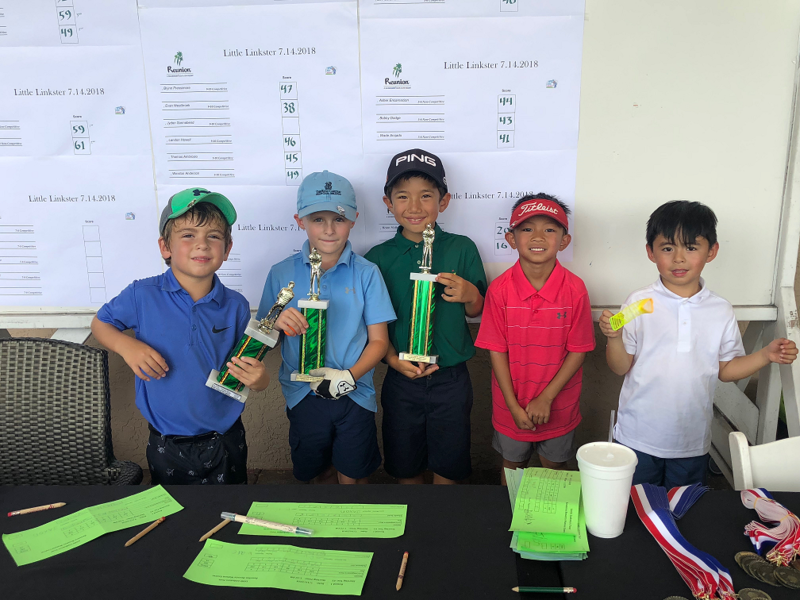 At the clubhouse, when the scores were tallied, Zev had just enough to show with a third place finishing score of 40, out of a field of 6 tough competitors. As always, we had a great time competing and playing! 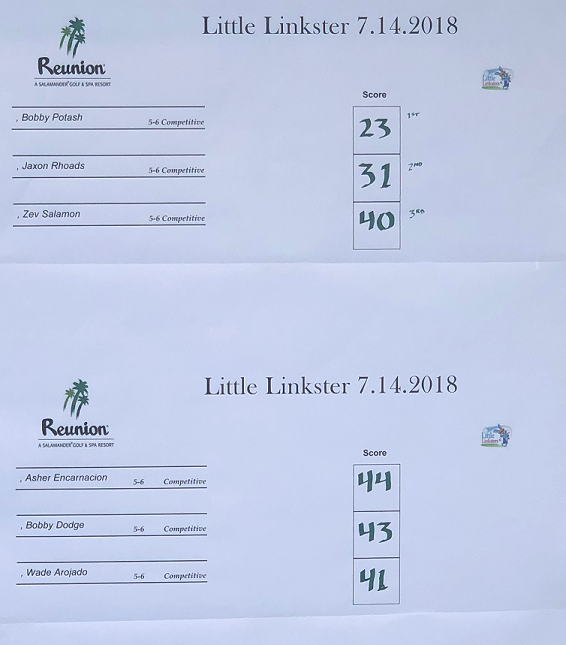 Thanks to Brendon Elliot and the wonderful folks at Little Linksters! Way to go Zev!! I understand that you are playng against competitors in a higher age group than you are in. This makes it all the more impressive. We love you Zev!!!! Love love love you, from Grandma and Grandpa !! We r so proud of you! doing great against some older players. Way to go.